The basic principle behind CCTV is pretty easy to understand. A camera records footage that can be reviewed or viewed live or retrospectively on a monitor somewhere else. But, as security installers, you know that the technicalities of CCTV and security systems go well beyond that basic explanation. There are the different specifications to consider, different monitoring services and tailored solutions to be kept in mind. 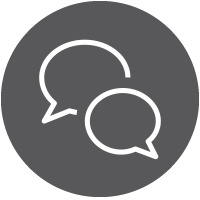 Importantly, the better you can explain and justify the products and services on offer to end-users, the more likely you’ll secure installation and maintenance work. If the end-user understands exactly why a particular security solution will benefit them then they’ll be far more likely to invest in the solutions. Of course, I know a lot of this will be considered ‘sales-talk’, but as installers you’re meeting the end-users on a daily basis. Hopefully this guide will give you a reference point when you’re explaining and describing security solutions to the end-user. Making sure the CCTV basics are clearly explained and understood will save a lot of hassle down the line. For example, end-users may not fully understand what ‘event-driven’ CCTV means and as a result be confused when they find out they can’t view footage from before and after an incident. The key is to keeping the information non-technical and precise. Consider putting together a basic list of pros and cons for different solutions and camera types. One of the biggest issues we come across on a regular basis is that the end-user doesn’t fully understand the concept of remote monitoring. To them it may seem bizarre that a third company monitors the CCTV cameras that you install. As Farsight only offer remote monitoring services – never installation or maintenance (we’ll never overlap with your services) – it often means we end up being one-step away from the end-user and not able to communicate exactly how our services work. So it’s important that you guys, as the installers, give the end-user a clear idea of what remote monitoring is and how it works. “The remote monitoring station, based in the UK, receives alarms raised at your site when the CCTV cameras are set. When an alarm is raised the remote monitoring station will be able to view your site live via the cameras. They will not be able to view your site unless and alarm is raised. 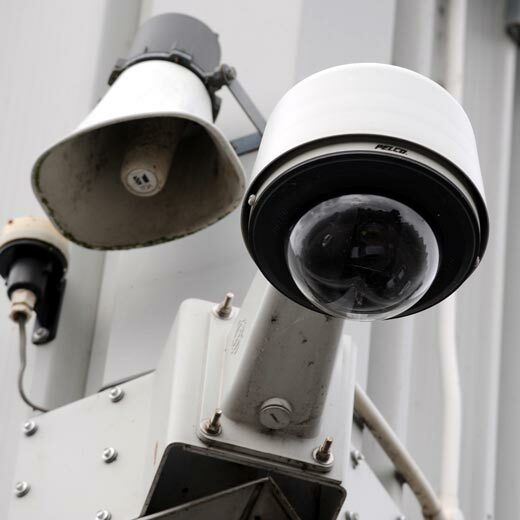 Amongst the complexities of CCTV and security systems the basics can easily get lost. When explaining how the end-users security system works and the benefits they can expect to see be clear that the benefits rely upon the information they provide to the remote monitoring station. Without a clear response agreement in place, with appropriate key holders and up to date contact information it becomes very difficult for the remote response to be effective. Although audio warnings can still be issued it’s essential that a key holder is notified of the incident, as it could make it a lot easier and quicker for emergency services to access the site. Additional point: Whilst we’re talking about end-user information, it’s also important to highlight the high-security approach they should take to keeping their system secure from an ‘inside job’. Read our blog for more information: Security from the inside, out. A dome covers the camera and the direction of the lens is concealed. These cameras aren’t easily tampered with from the outside. The lens of the camera protrudes from a box and is suitable for viewing details in the distance; these cameras may need to be protected by a protective case. Other cameras can use infrared illuminators to improve vision during the night or in poor lighting conditions. However, infrared (IR) cameras will have infrared LEDs built in. IR is not visible to be naked human eye. 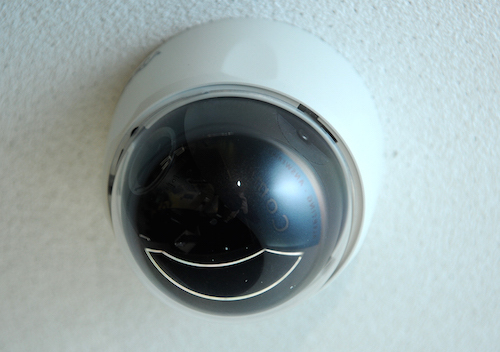 As a general rule of thumb, an IR camera will be able to see 1 foot away for every 1 LED fitted. Find out more about why security lighting is so important. Although wireless cameras transmit a video signal to the remote monitoring station wirelessly, you will still need a cable for power. These cameras have the ability to pan, tilt and zoom to give a wider view or more detailed view of a site. However, advanced remote monitoring stations will still use multiple surveillance cameras to view a site more widely regardless of PTZ capabilities. Considered a more high-tech surveillance camera, IP cameras use a computer network or the Internet to send and receive data. Finally, communicating this point to end-users will make your job a lot easier. Ongoing maintenance of security systems is a necessity to ensure that there aren’t any blind spots or security breaches. Refer end-users to our End User Maintenance Guide for a step-by-step explanation of the key points. Hopefully this guide will be useful, if there are any particularly difficult to explain points that aren’t covered here leave me a comment below!